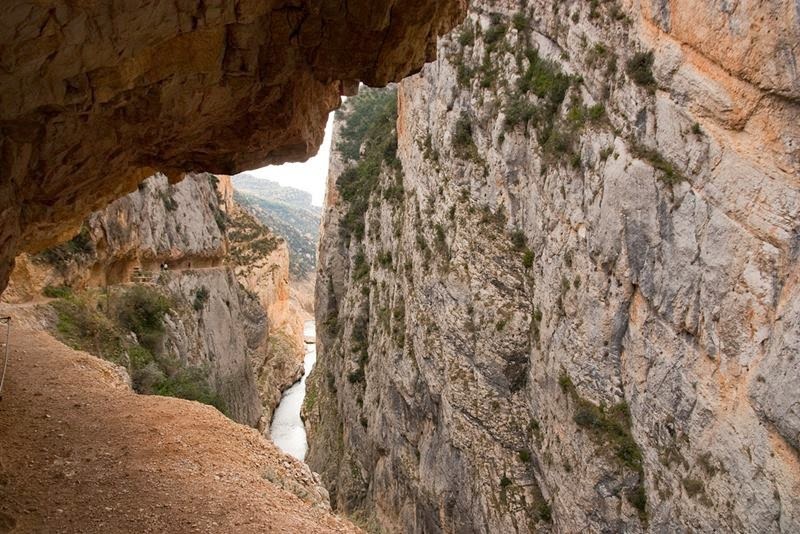 The Frightful pathway between Catalonia and Aragon, Spain, the River Noguera Ribagorçana passes through the Serra del Montsec mountain system, creating a beautiful hiking destination called Congost de Mont-Rebei. 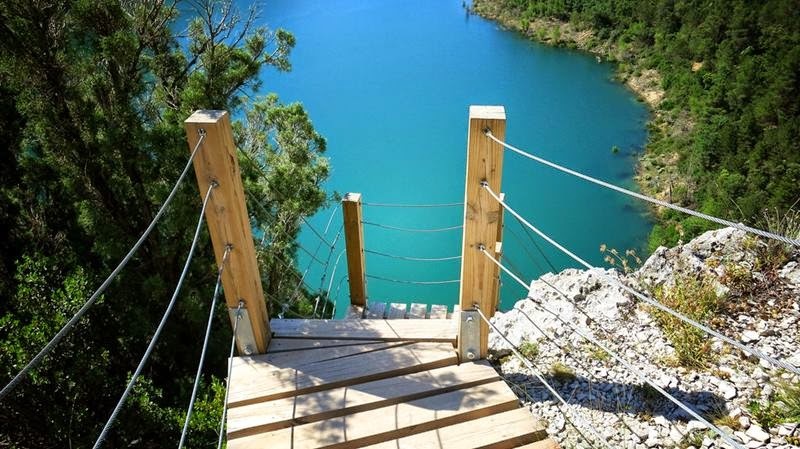 A stunning views and frightful pathways through an ecological paradise. 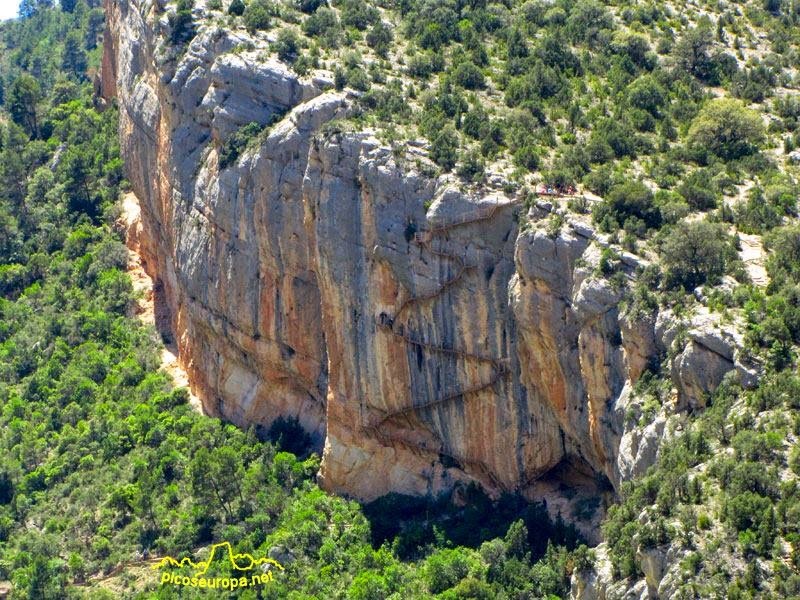 The Mont-rebei Gorge natural space covers a surface area of about 600 hectares. In April 14, 2005, the Congost de Mont-Rebei was declared a Wildlife Refuge. 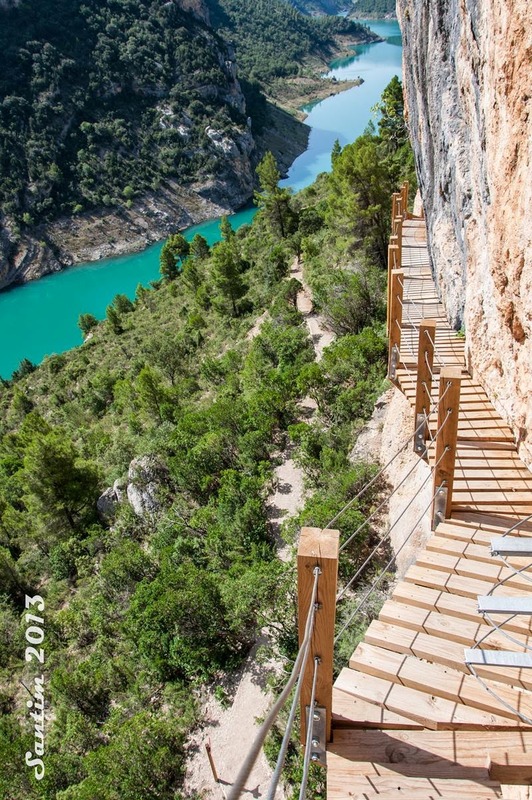 Walking between towering cliffs and vertiginous landscapes. 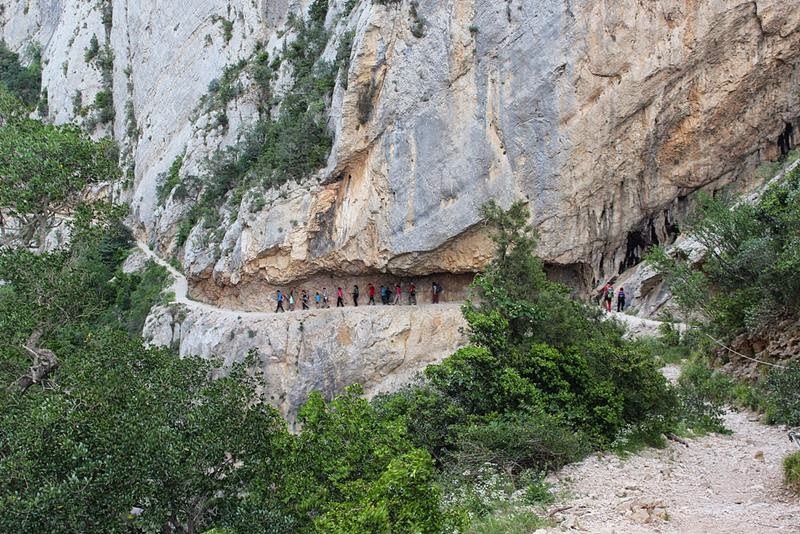 For a few meters, the road is literally carved into the rock, hanging from the cliffs. 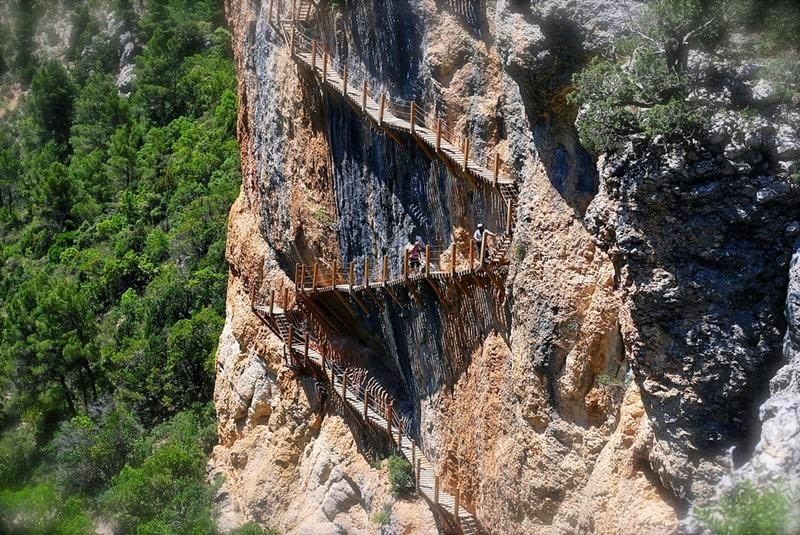 The route, which coincides with the GR-1, is protected by railings and benches to regain strength and enjoy the spectacular views. 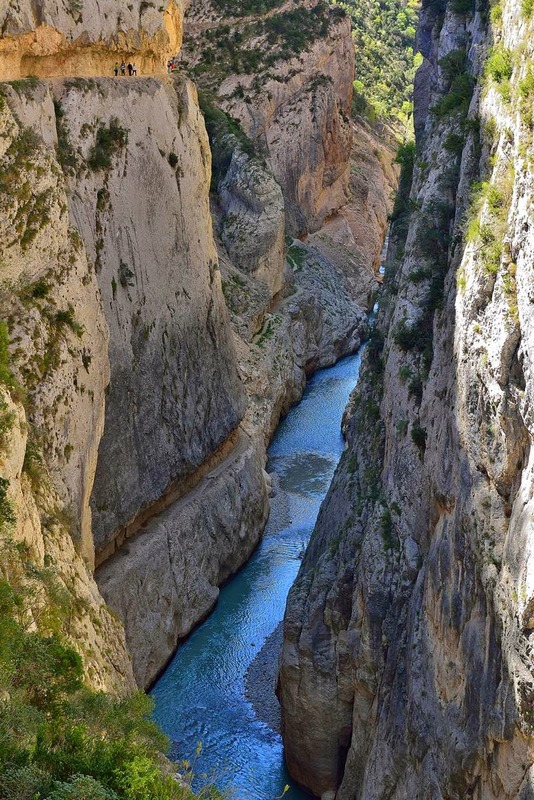 The walls of limestone of the gorge reach heights of 500 meters vertical drop and points where the minimum width is only 20 meters, with embedded pathways for visitors to take in the gorgeous scenic views. A very interesting to see point, it is the Romanesque chapel of Pertusa, with dizzying views of the marsh Caselles. 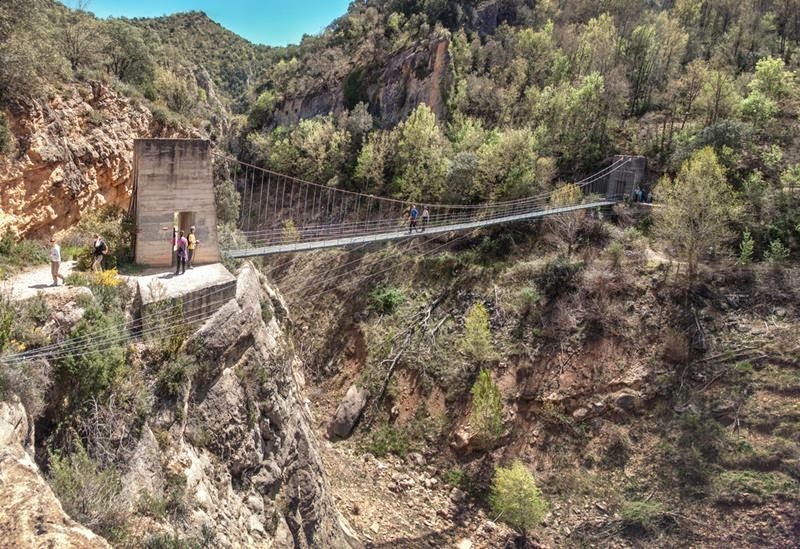 Also very interesting suspension bridge at the end of the tour. 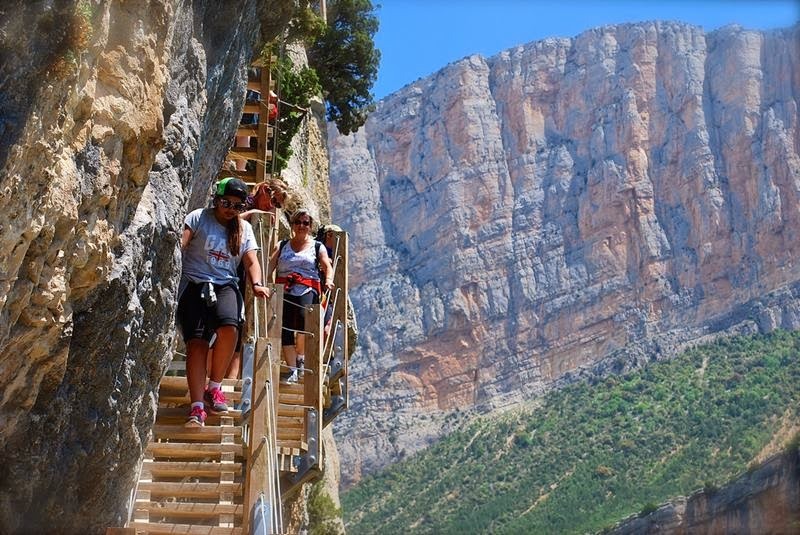 Perhaps the most famous part of the mountain, Congost de Mont-rebei is a steep canyon cut into the rocky peaks, plunging hundreds of feet down sheer rock walls. 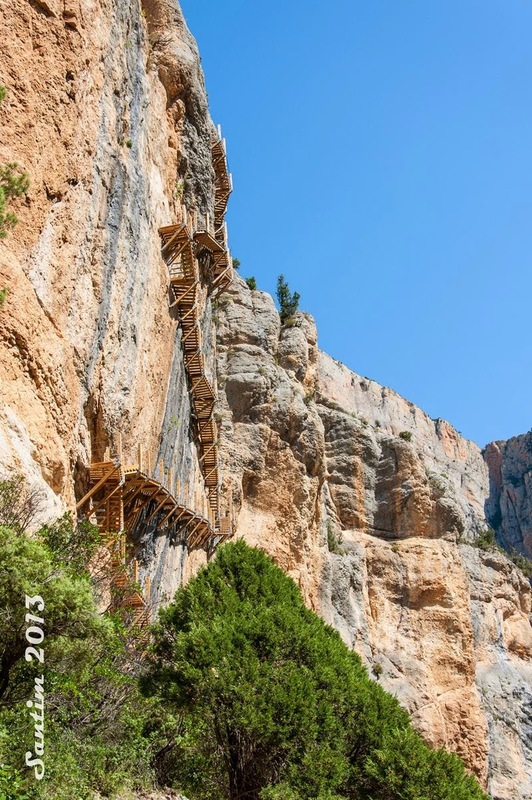 Narrow walking paths etched into the sides of the canyon provide adventurous tourists and hikers with breathtaking views and spellbinding glimpses directly down into the canyon floor. Popular with mountain bikers and hikers in particular, the canyon offers as much of a challenge as it does a scenic view of the landscape. 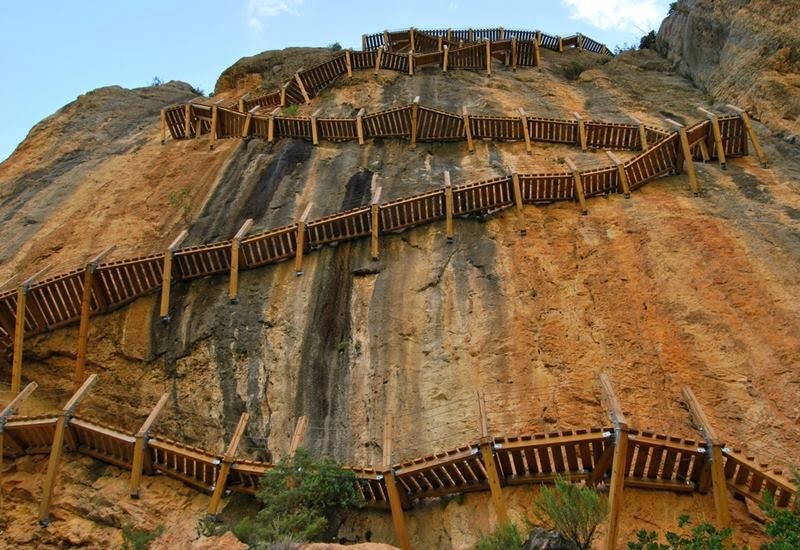 The paths are steep, rocky and frightfully thin, making humans to feel right at home with the mountain goats and birds that populate the rocky environ, which may, in fact, be visiting this beautiful place for the very same reasons as tourists do: nature, filled with nature.